1. A loading Dock variance on two of the apartment buildings that would prevent semi-tractor trailer trucks from using them. 2. 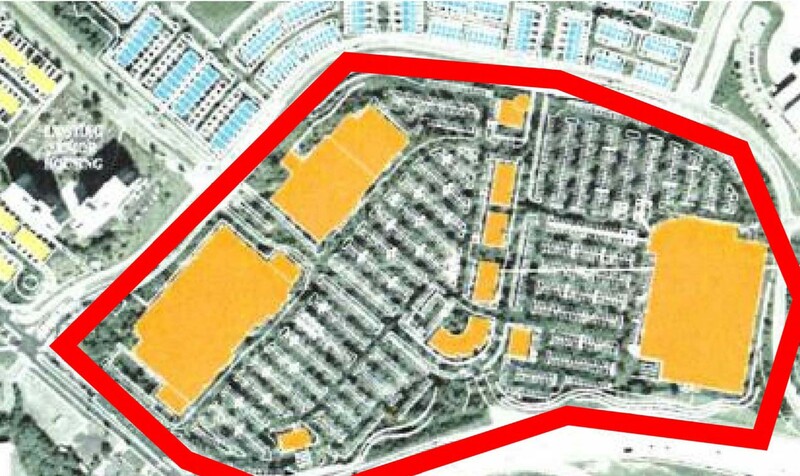 The variance to go from one record lot to multiple theoretical lots for individual townhomes. 48 of the apartment units will be set aside for affordable Housing (24 @ 50% of AMI and 24 @80%AMI) AMI stands for Area Median Income click the following link for more information regading AMI for affordable housing. Click This Link for AMI for DC All other units will be market rate. Bob King, current ANC Commissioner wants to increase the number of affordable units to 27 and as the meeting was adjourned, and attendees started to exit, voted to petition the City Council for those 27 as well as more along new York Ave. as it develops. No residents voted on the measure. However, that vote shouldn’t effect this development, because it is on Federal Urban Renewal land not land owned y the city. The push for more affordable housing which ultimately came from Councilman McDuffie is for development on city owner land. Premium Distributors is looking to expand. This needs to be analyzed prior to approval to ensure traffic is taken into consideration. Besides City Homes at Fort Lincoln and the Banneker Townhomes, this will be the final residential development. 1. The revised layout shown in the BZA Application for the shops was in error. The layout will remain as previously shown ( Costco on one side and the other retail on the other). See below. 2. The Contract for Lowes has been signed and the building permit issued. Construction will start whenever it starts, I will no longer post dates or times for the start of this development. When it happens I’ll take a photo and post it. 3. Eastern Ave. is only shown as a right-of-way easement, there are no plans to open Eastern ave. along the cemetery. After witnessing the chaos in the meeting regarding traffic, its no wonder the city hasn’t done anything to fix the traffic problems. I doubt if they have ever received a document clearly outlining what the traffic issues are, a plan on how resolve them and follow up from the ANC or anyone on its progress. If our ANC Commissioner needs to have a community meeting in 2014 after almost 10 years of planning prior to Saturday, what exactly is he doing? We need an effective leader who is concise, forward thinking, inclusive, has a clear vision for Fort Lincoln and a plan to execute that vision. Moreover we need a leader who understands what the needs of the residents of Fort Lincoln are and will work to address them effectively. Until we have that nothing is going to change and that’s no dig at anyone, it’s just the plain truth. I’m glad the proposed layout was an error. It looks like a maze. Nothing worse than being a in a maze-type parking lot where there’re a lot of unnecessary stop signs. I actually like this one. It seems easier to get in and out by car. I know, I know, traffic is going to be a nightmare, but as a resident of the ‘Crossing’ I’ll know when the best times to go to avoid heavy traffic. Personally I don’t know if replacing the commissioner will do any good. Unfortunately the current one has already “put his mark” on the current development that will affect us for years to come. There won’t be any more major developments for them to mess up. This is it. Sure, as residents, we can affect the area traffic for the future, but the decisions voted by the commissioners for this development have already caused major damage for which we have to live with for the years to come. I think we have to start NOW laying our footprint as the current ANC has rubber stamped a plan that was in the works years ago. Just 18 months ago, the ANC5C03 representative stated the Villages at Dakota Crossing was not in his district, now he’s all in. The June 28, 2014 Special meeting was supposed to be principally about the variance to build more than 1 building on the land. However, the ANC 5C did not consider the depth of this project and the implications on density, traffic and the environment and the overwhelming discontentment of the proximate residents. All of ANC 5C03 deserves leadership that possesses critical thinking and consideration of the community as a whole (including our beautiful green space), and not at the expense of the limited few. This issue has to be revisited and the forum will be at the BZOA. Apparently our own leadership can’t seem to get it right. Let’s move forward, not backward. I appreciate the feedback as always, however, changing the ANC commissioner will make a significant difference. The issue isn’t what’s being built it’s how it will be used and the effect on residents. That is what the ANC commissioner is there for, it’s in his job description. If he is not diligently pressing the issue until an acceptable solution is provided that leaves the residents stuck dealing with the aftermath of bad planning for years to come.